industrial – MSO Seals & Gaskets, Inc. The Gasket and Seals Market research report is a professional and in-depth study on the current state also focuses on the major drivers and restraints for the key players. Global Gasket and Seals Market is Projected to grow at 5.7% CAGR during the period 2016-2020. Gasket and Seals Industry research report also provides granular analysis of the market share, segmentation, revenue forecasts and geographic regions of the market. Seals and gaskets play a vital role in any assembly process. These components are widely used to fit two mating surfaces to prevent leakage. A seal is used to control leakage of liquids or gases in the automotive, manufacturing, aerospace, electrical and electronics and petrochemical industries. Seals help in reducing problems associated with pollution due to leakage of contaminants, corrosion, and fatigue, which can destroy equipment leading to reduction of efficiency; increase in cost; and product loss. The gasket is a type of static seal, which is specifically used to provide a barrier between mating surfaces of mechanical assemblies. Gaskets are used to retain internal pressures and prevent liquids, gasses, and contaminants to escape from assemblies. The Gasket and Seals Market research report covers the present scenario and the growth prospects of the global Gasket and Seals industry for 2016-2020. Gasket and Seals market report provides key statistics on the market status of the Gasket and Seals manufacturers and is a valuable source of guidance and direction for companies and individuals interested in the Gasket and Seals industry. The Gasket and Seals market report also presents the vendor landscape and a corresponding detailed analysis of the major vendors operating in the Gasket and Seals industry. 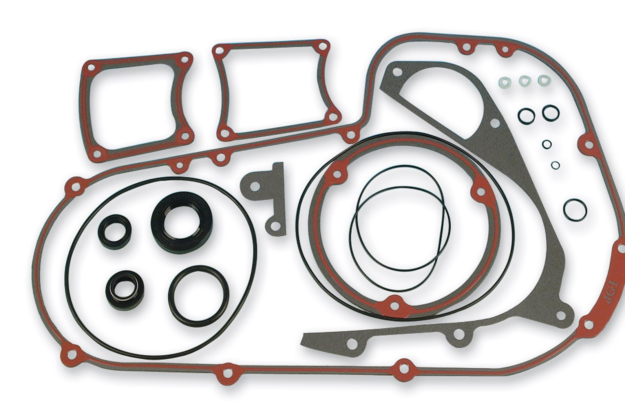 Gasket and Seals market report analyses the market potential for each geographical region based on the growth rate, macroeconomic parameters, consumer buying patterns, and Gasket and Seals market demand and supply scenarios. What are the key trends in Gasket and Seals market? What are the Growth Challenges of this market? What will the market size & growth be in 2020? What are the key factors driving this market? How key drivers and challenges impact this market? What are the Gasket and Seals market opportunities, market risk and market overview? How revenue of this Gasket and Seals market in previous & next coming years?